Departing every Sunday from 12-2pm is our fabulous Sunday Brunch Cruise. Enjoy a complimentary glass of champagne as you board. 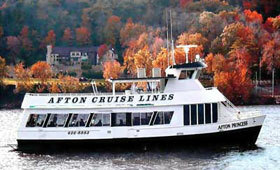 Cruises depart from Hudson or Afton.